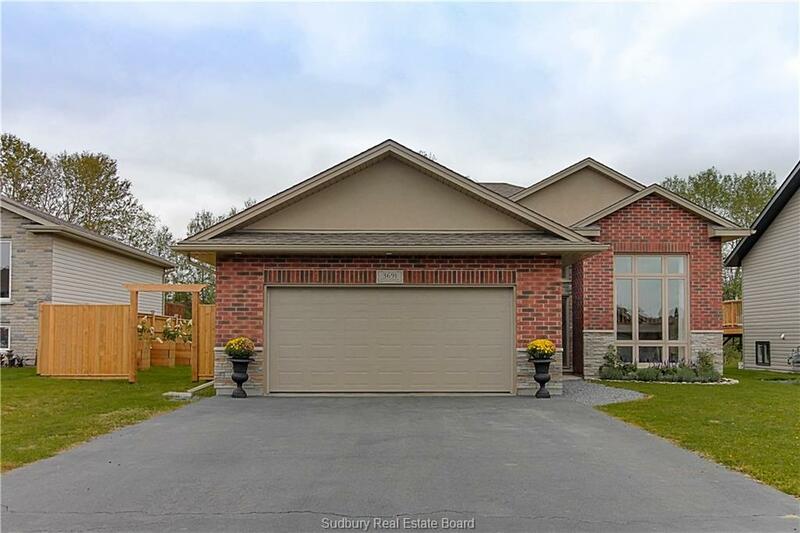 **SOLD** Beautiful 3+2 bedroom, 2 bath bungalow on a quiet cul-de-sac in Chelmsford - Lanctot Realty Ltd.
**SOLD** Welcome to 3691 Keith Avenue, located on a quiet cul-de-sac in Chelmsford close to the community centre and golf course. 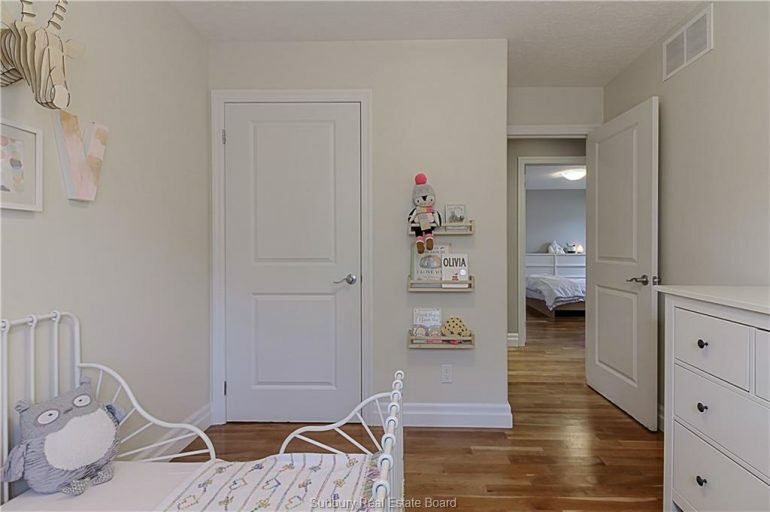 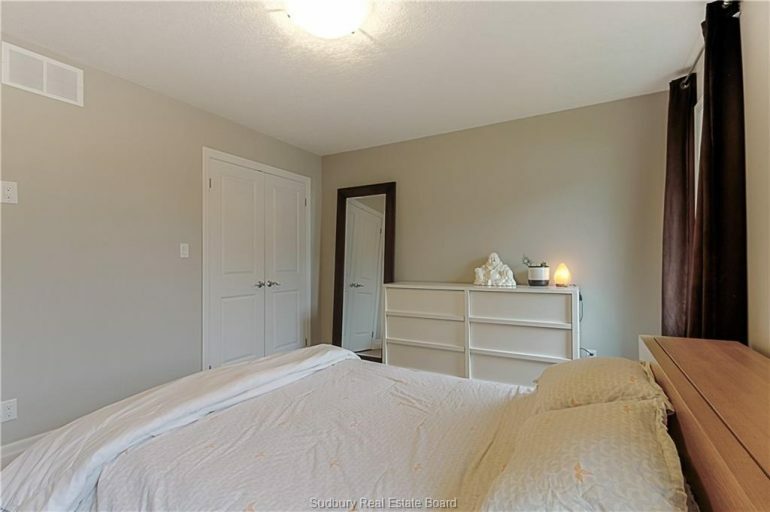 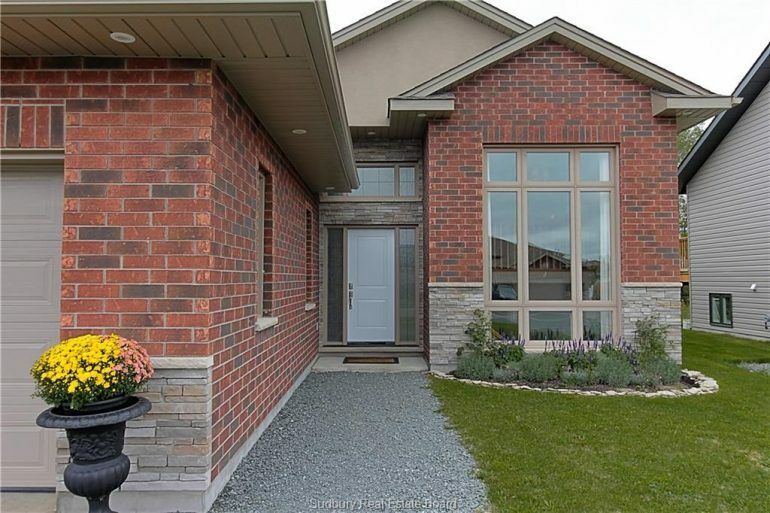 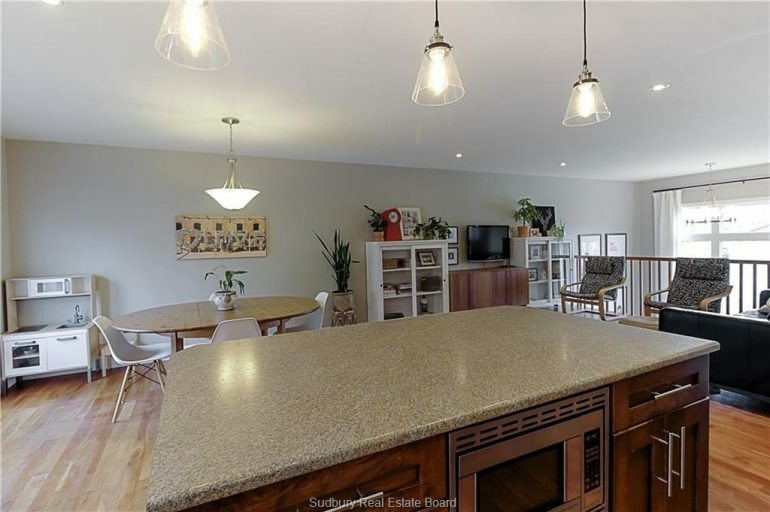 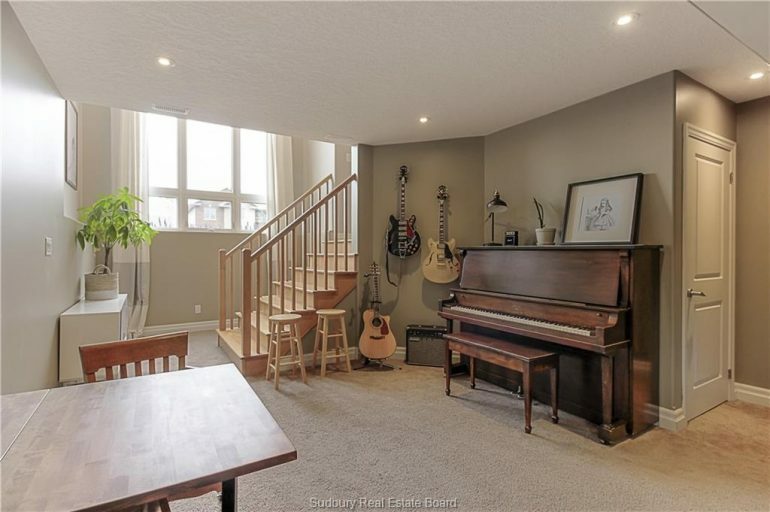 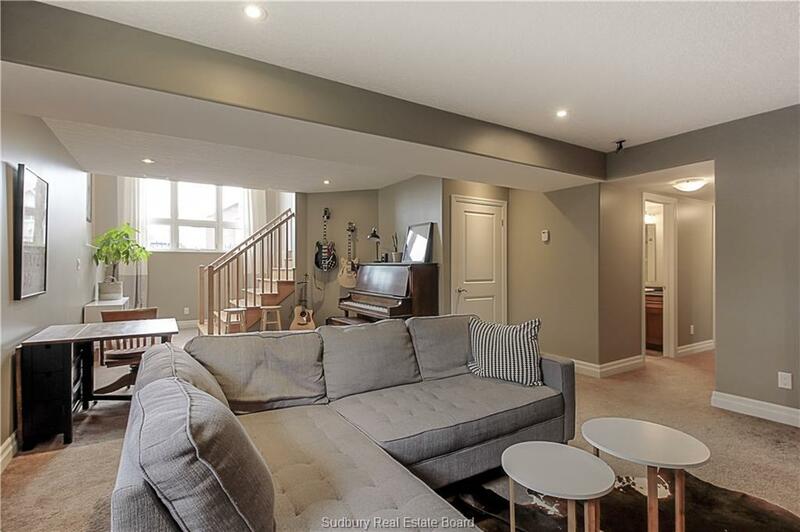 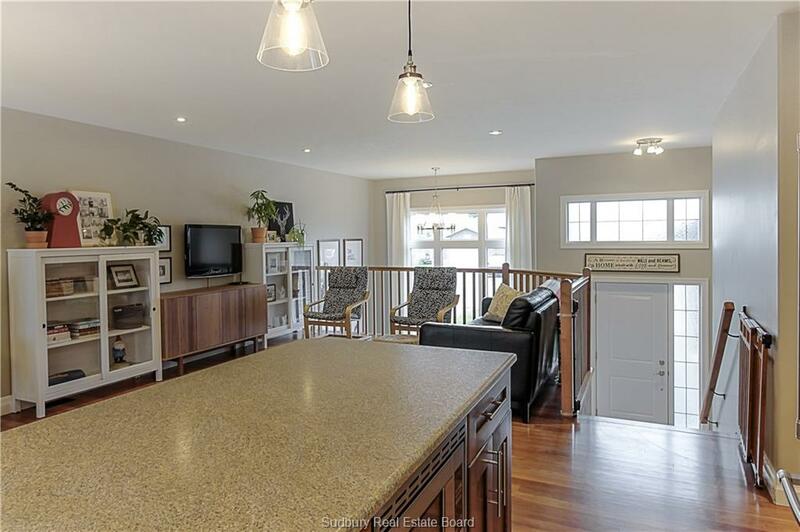 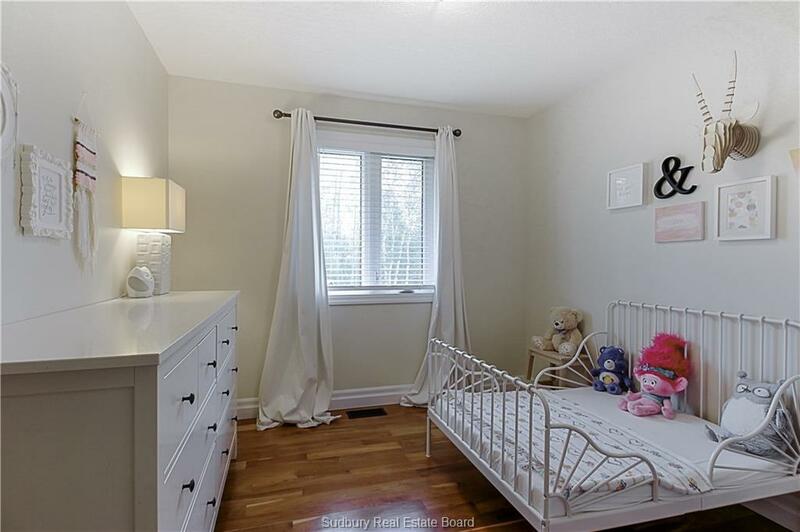 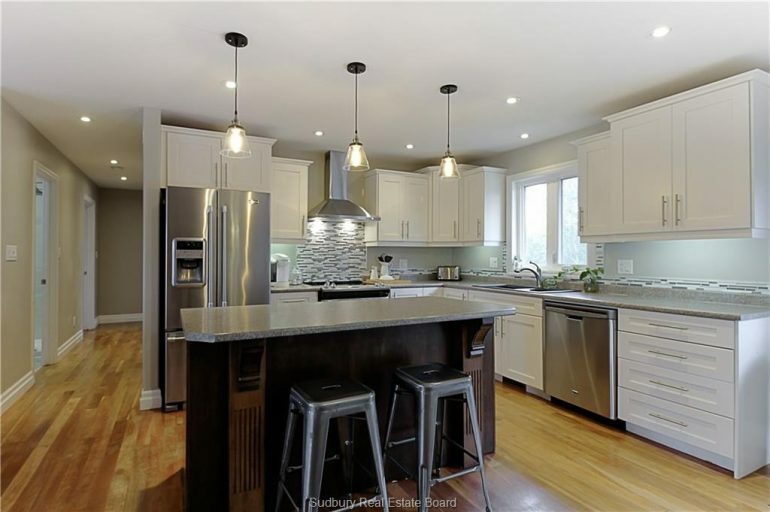 This beautiful 3+2 bedroom, 2 bath bungalow is sure to impress with sky-high ceilings, a bright, spacious open concept and all the modern touches. The main floor of the home features a stunning grand entrance with over 12 FT ceilings from the landing, access to the double attached, double insulated and heated garage and a view of your feature wall with big, beautiful windows. 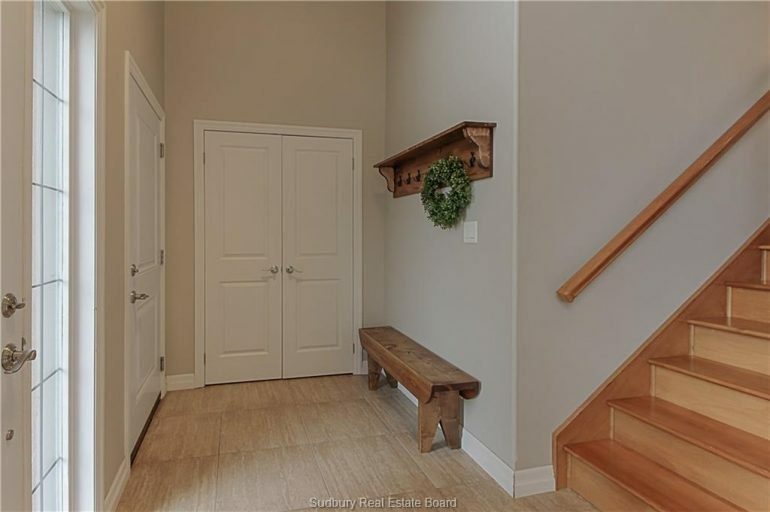 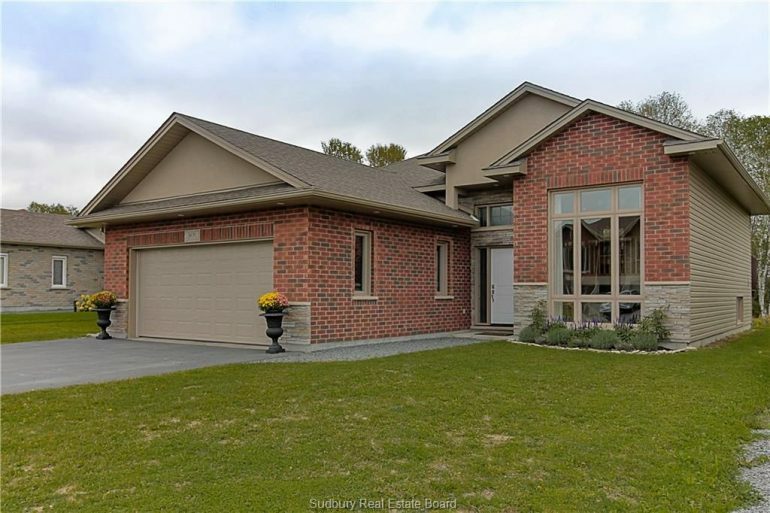 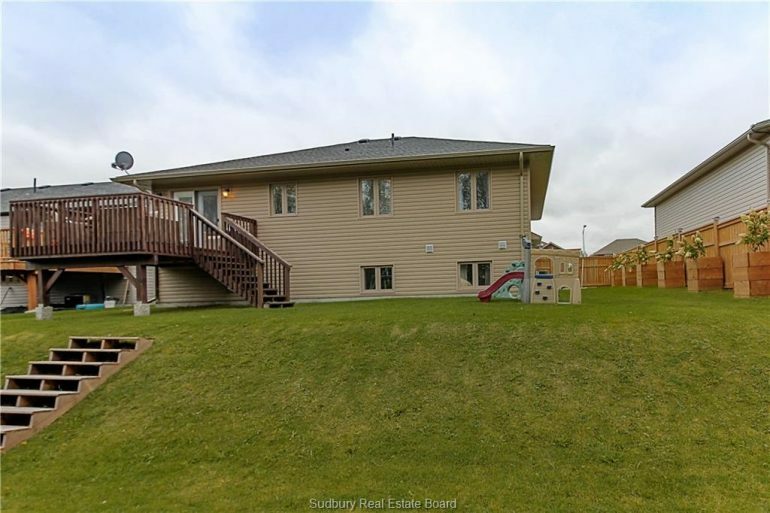 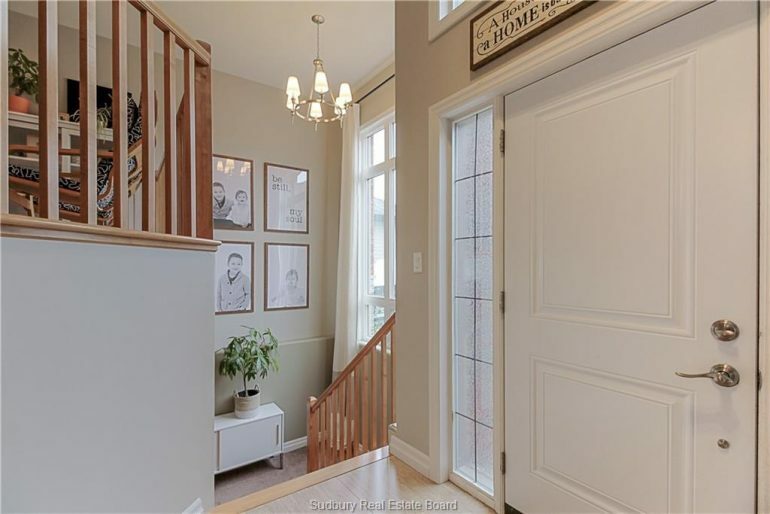 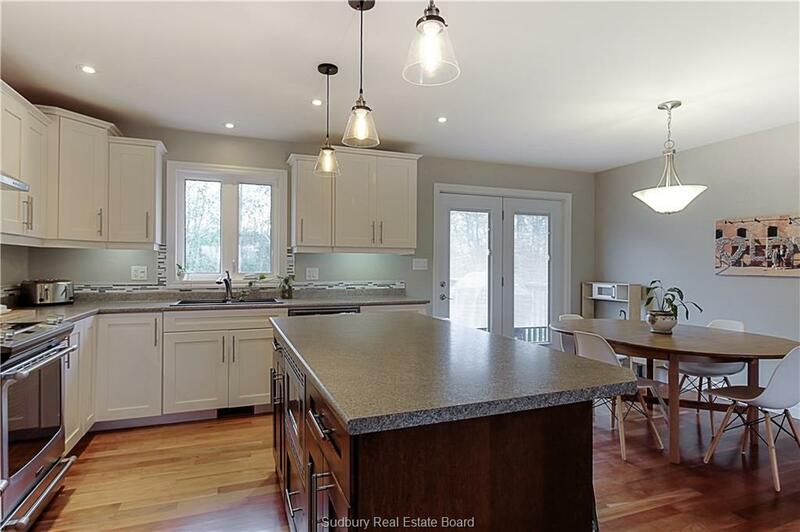 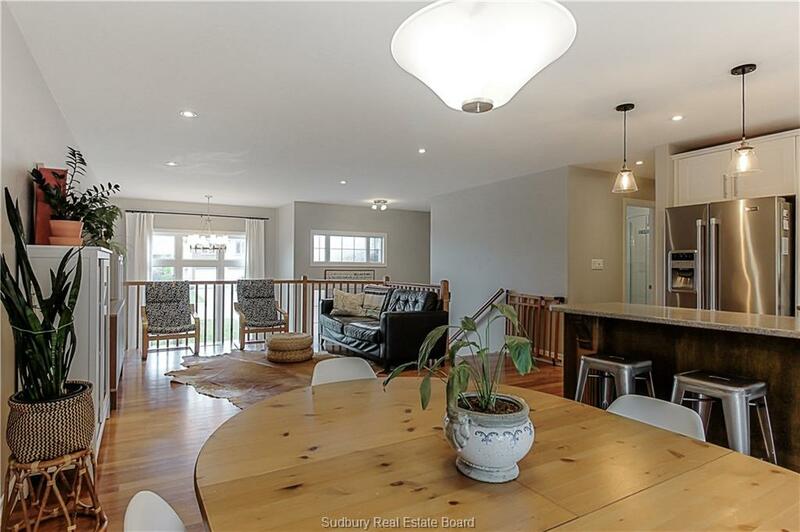 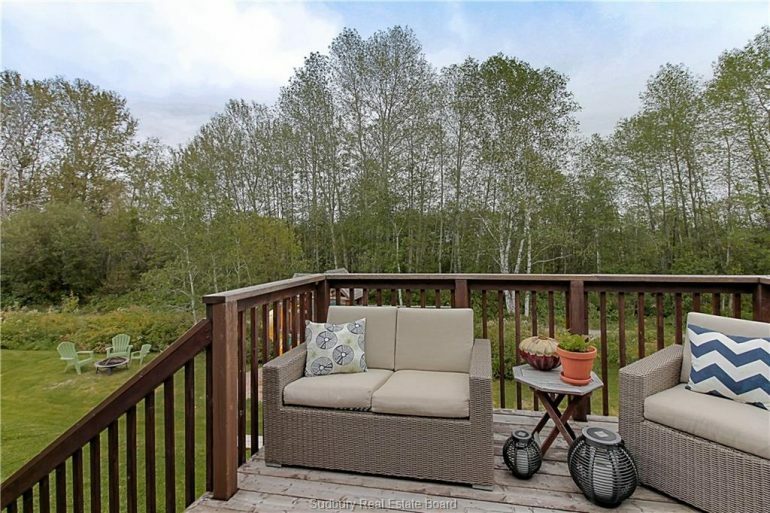 Walking up from the entrance you are greeted with a fully open concept living area, dining room, living and kitchen, complete with kitchen island, fantastic lighting throughout and a walkout to your deck and backyard. 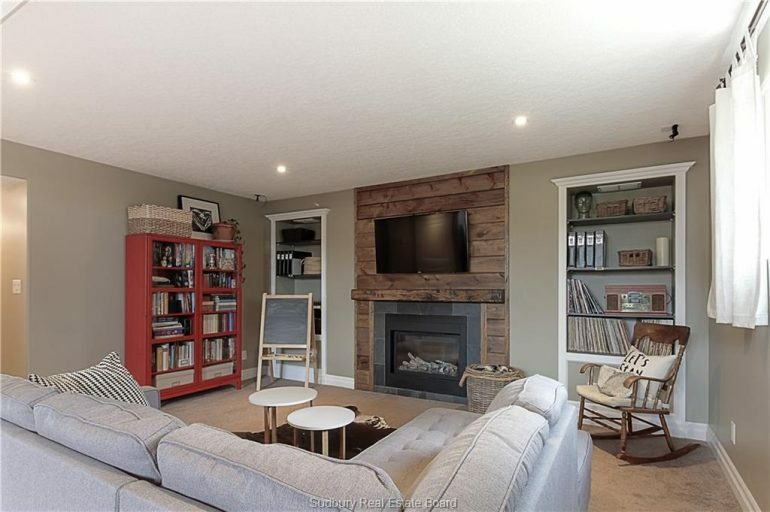 A great space for entertaining friends and family! 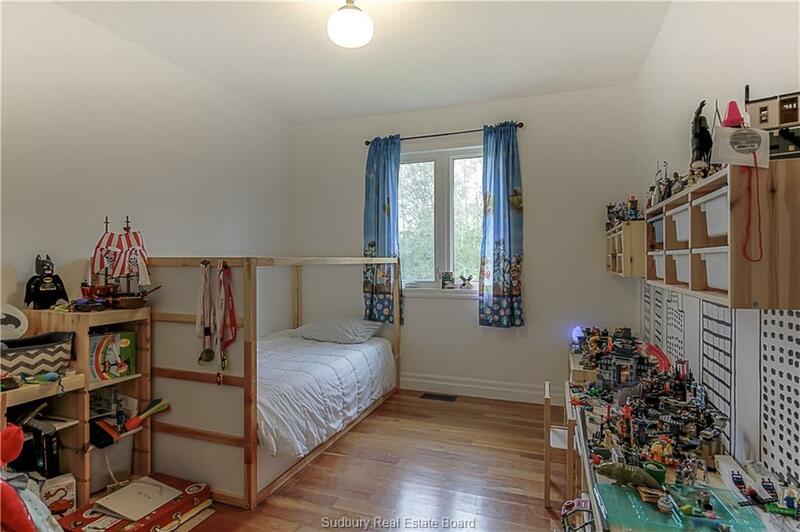 Down the hall is 3 great sized bedrooms, the master boasting two very large closets. 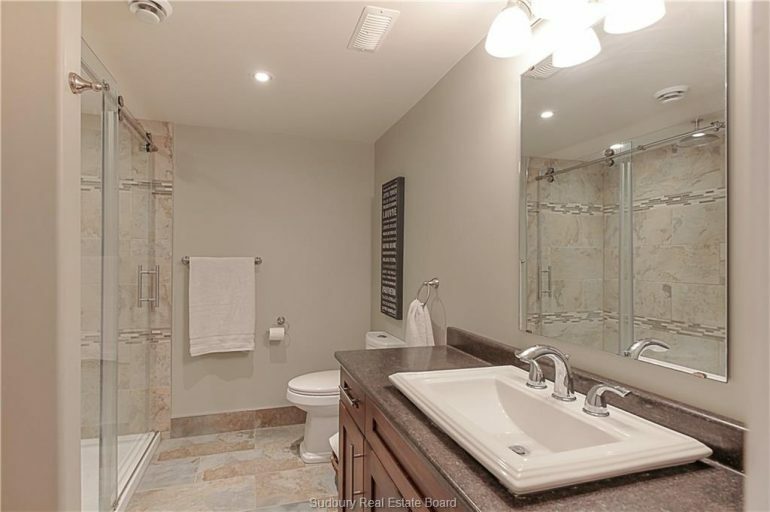 The main floor bath is spacious with a whirlpool tub and separate corner shower. 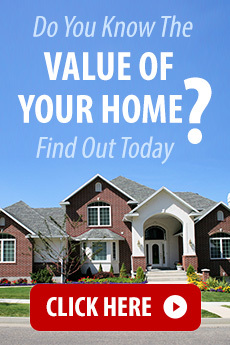 Throughout you will find quality hardwood and tile flooring. 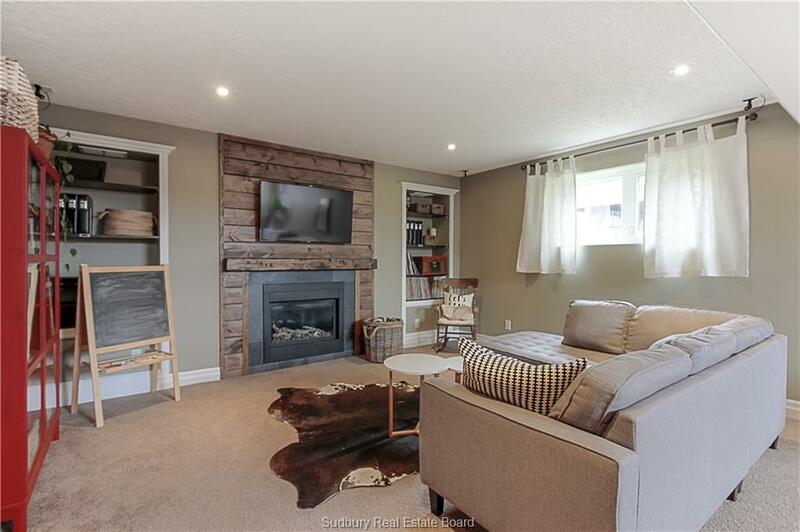 The lower level offers a great size rec room with tons of natural light from your large, stunning front window, complete with a beautiful wood accent wall (2017) with gas fireplace and built-in surround sound. 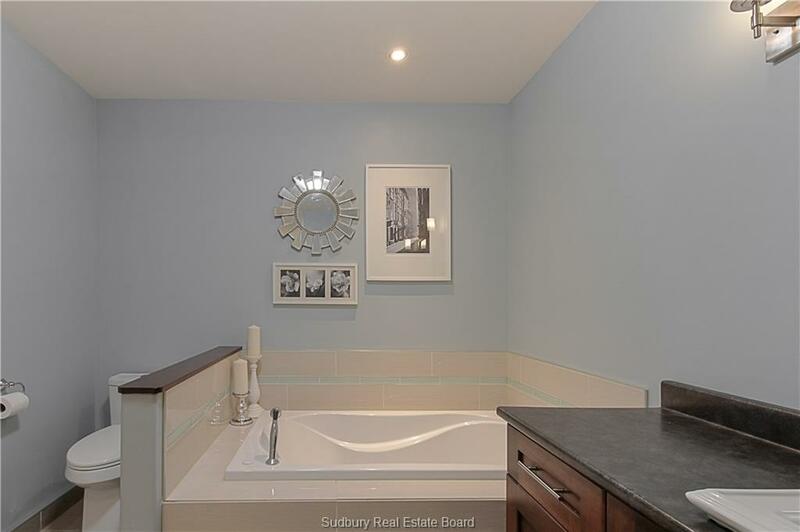 The lower level bath offers a floor to ceiling tiled shower, in-floor heating and excellent storage space. 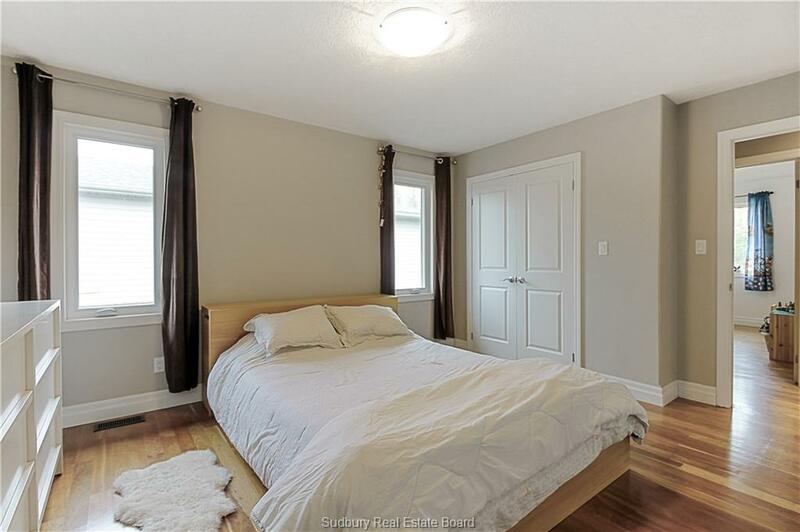 One of the two additional bedrooms is framed and insulated, only requiring your finishing touches! There is great storage space under the stairs and the laundry/utility room is very large in size. 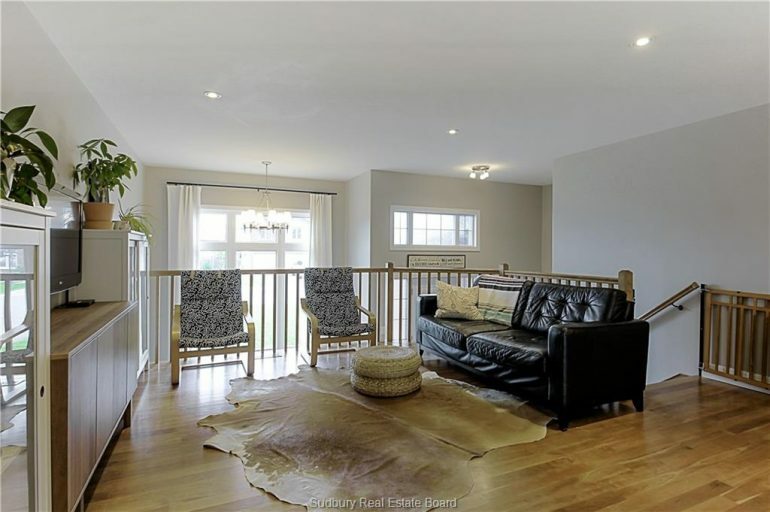 Additional features- a/c, central vac and ventilation system. 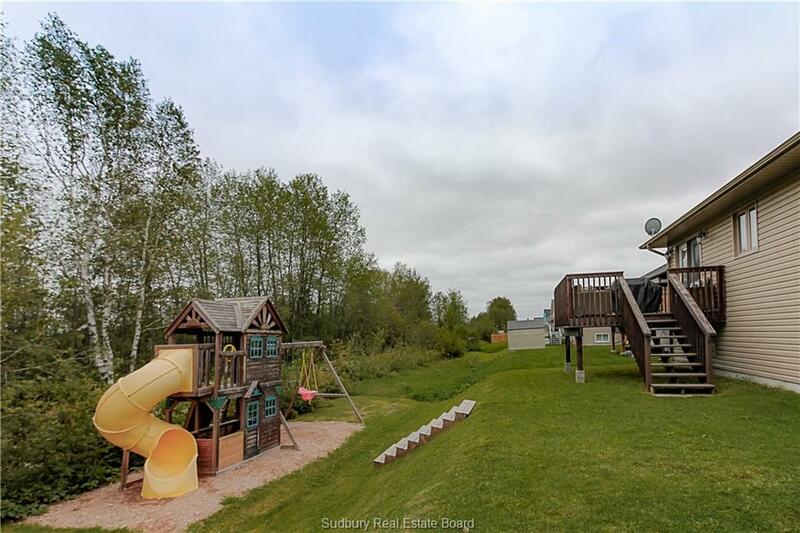 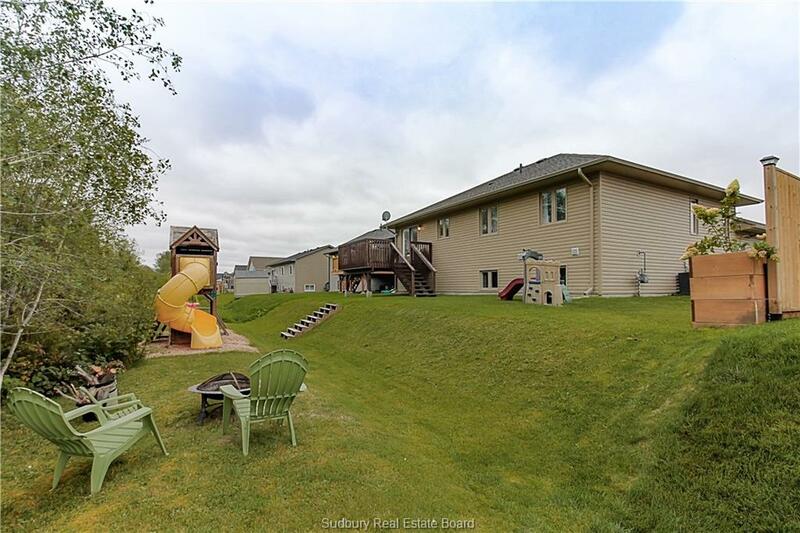 Outside you will find a double, paved driveway, great curb appeal with a large 16 FT side yard with beautiful planter boxes, partially fenced (2017) and room for the kids to play, with the deck overlooking the backyard and greenery, complete with gas BBQ hookup. 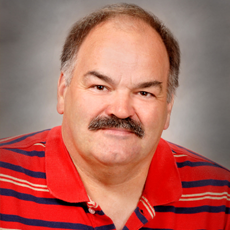 There is a great walking trail at the back of the home that will bring you to the big box stores and all of Chelmsford’s ammenities. 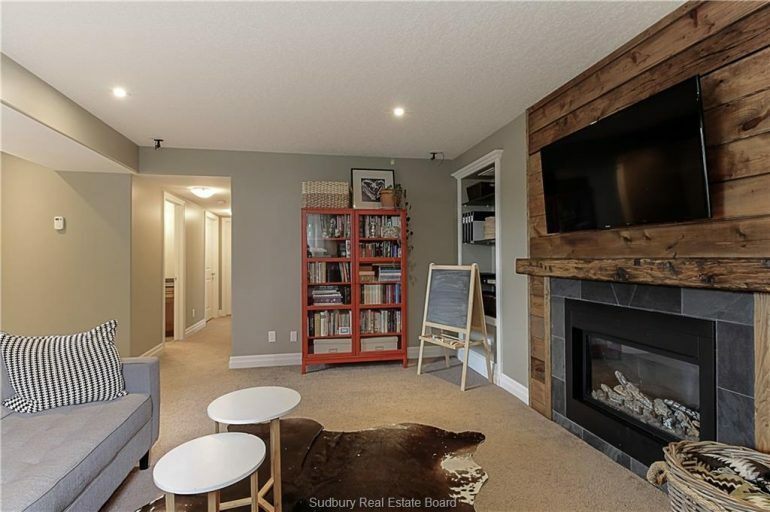 Easy to show, don’t miss out! 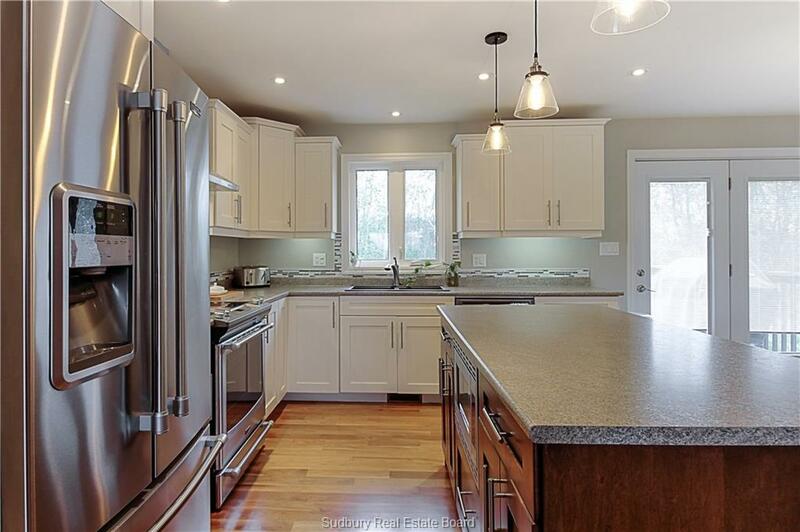 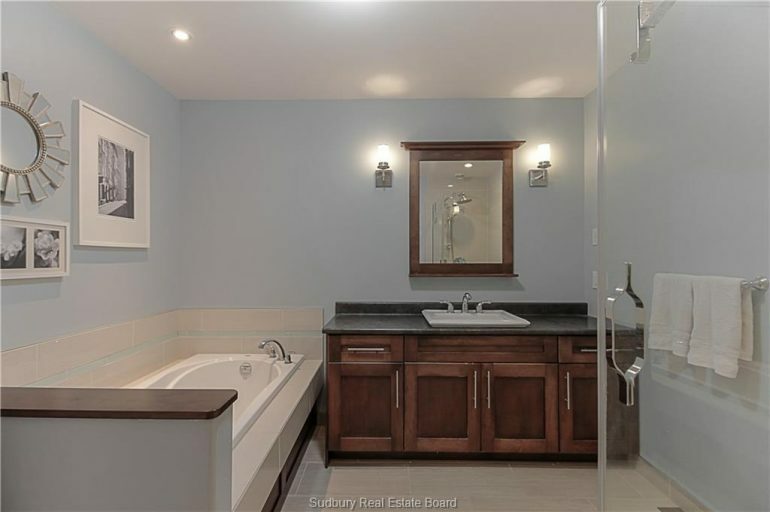 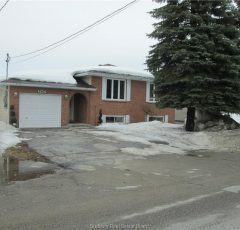 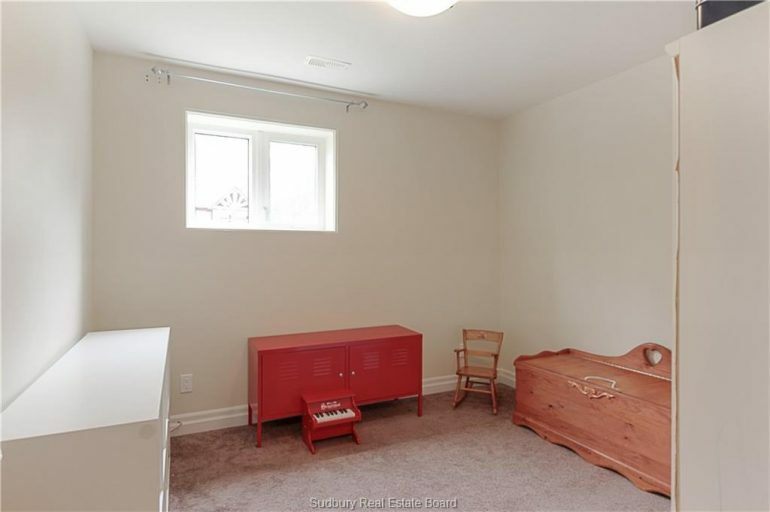 MLS#374,900.